Video marketing is here to stay. With video content accounting for more than 79% of consumer internet traffic (MWP, 2018), it’s safe to say that videos truly are a game changer in online marketing. Text and photos are taking a backseat to videos, and there’s no sign that this trend will slow down. Still need convincing? Below, 5 reasons every company should incorporate videos into their marketing strategy. No matter what business one is in, Search Engine Optimization (SEO) is critical to online marketing success. Products that rank well in search engines are bound to get more attention from potential customers, leading to better sales. According to Martech Zone (2018), an explainer video can increase the likelihood of your product being on Google’s front page by a whopping 53 times! To further sweeten the pot, retail product videos increase site visit lengths by an average of 2 minutes, a key parameter in search engine ranking algorithms. With more than 750,000 e-commerce platforms (Pipecandy, 2018) competing for brand awareness, you really need to stand out. Marketing videos help embed your brand identity in people’s minds. Watching a video is stimulating, which means people tend to remember more from a video than text. 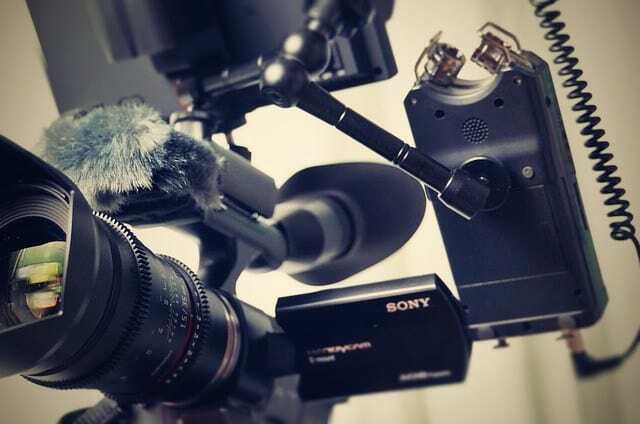 However, as a result, people expect more from a promo video, which means they tend to lose interest quickly too, challenging the creative abilities of the producers. There is a reason that 68% of top online retailers are now employing the use of video marketing, even though they sell a similar range of products (Magstore, 2018). Successful companies deliver a little something extra—and videos are the perfect way to highlight those differences. Some are well-known for their loyalty programs, others for excellent customer service, and some for their breadth of product. The most effective way to convey these unique selling propositions to consumers is explainer videos to help a business in distinguishing itself from its competitors. The sole purpose of your website is to get maximum views and high conversion, right? Video content is increases conversion by up to 30% (Magstore, 2018)! The video/audio combination is one of marketers’ not-so-secret weapons, allowing them to influence a viewer enough to initiate action, whether that be pick up the phone and call your or add an item to their cart. In fact, product videos increase the likelihood of sales by 85% (Magstore, 2018). Another benefit of videos is that they keep a person on the webpage for longer periods of time. This gives them time to observe more of what else the page has to offer, which obviously includes other products, leading to better click rates. The best thing about video production: versatility! They are more of an art form than a simple marketing tool. It gives its producers complete freedom over how they want to approach their customers. They may go simple and just highlight the merits of their product. Or, if they are creative enough, they may incorporate a social angle that links to their product. Similarly, there are innumerable other options they could opt for. The future of marketing lies in video. There are several reasons why you should use multimedia on your website. In this post we’ll cover the reasons to use multimedia, what effect it has on your Search Engine Optimization (SEO), how it affects branding, and the various types of multimedia available for use on your website. From a broader sense, we recommend using various forms of media to strengthen your brand. This doesn’t mean add media just to add media, rather add media with purpose. If you are going to add a photo, why are you adding it? What purpose does it serve and how does it improve or amplify your branding message. The more styles you use (not necessarily on the same page) the better your branding can become. There are several types of multimedia you can use on your website. First up are images. Whether its free stock photos, photos you’ve purchased, or photos you’ve taken yourself, photos add to your story. If you add images, there are a few rules you should follow and we’ll get to that later in the SEO section. Another form of multimedia are slideshows. Slideshows that are embedded from Slideshare or other web slideshow sites can enhance your image by providing multiple images in a very compact space. Videos. We obviously have a lot to say about video, but here are some things you may not have known. Videos are more likely to show up on the first page of a search engine results that that of photos. Think about that. What’s the value of having your information on the first page of search results? Video isn’t the only thing that can or will get you there, but it is more likely than a photo. This doesn’t mean you shouldn’t post photos. This post would suggest it is a mix of multi-media types that is important. Are you going to click on the video below? Probably. Will it keep you on our site for at least 3 more seconds? More than likely. Audio. Podcasts, streams, etc. Audio plays an important role to some. Some people are more audible than visual. Those audibles love to listen to things (podcasts, music, etc.). Give them what they need every once in a while. Plus, this additional form of media will only help your brand if done correctly. One of the benefits of having multiple forms of media on your website is that you keep people on your site longer. Longer is better in terms of SEO. Google and the like feel that the longer one spends on your website, the more informative and important it is to the visitor. If every visitor stays on your site for a minute and a half, this would suggest there was a reason for doing so. That’s where the “crawlers” and “bots” come in. They comb the website looking for reasons people stay on the site. When they find several forms of media (including video), the report back that the site is informative. One step we would recommend you take is to optimize your website as much as possible. All that means is that you tell the “bots” what they’re finding. You’re giving them a road map and overlay of your site. For example, if you’re placing a photo on the page, you should include alt text. Alt text is what should show up on the page if the photo cannot load. So if you are posting a photo of a child on a swing on a playground, the alt text might read, “Child on swing at a playground.” This applies to embedded video as well. You should also name the file (audio, video, image) with terms and words that match what it is. Google is getting smarter and smarter, and they can now process a photo and know what it is. If the name doesn’t match, it may throw out the photo or the website. Make sure the name of the file is relevant. Also, include an image description if possible. Finally, there are several other things you can do to your website to help with SEO, such as, keywording, title tags, H1 Tags, descriptions, etc. All of this is too much to get into on this post, and probably needs an SEO specialist to help you. (We know a good one if you need). What video should you have on your business website? That is a great question. One that depends on what you want to do with it. 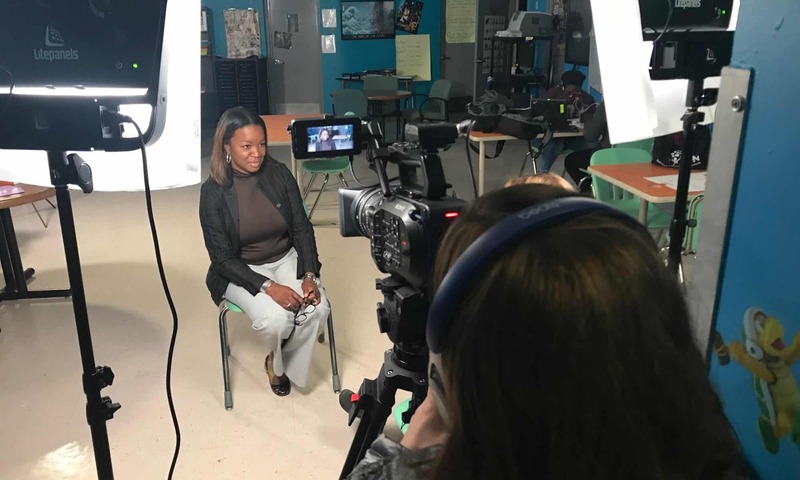 Many of our clients tell us they want to create a video to tell their story. But, telling the story isn’t what they really want. What they really want is to increase the number of incoming calls or increase sales. That’s what they really want. We’ve worked with hundreds of clients and have found the best way to get what they really want is to ask a lot of questions. One of the questions we like to ask is, “Why are you making this video?” It helps us understand the purpose and end goal of the video. If you are looking for more phone calls or purchases on a website, a direct call to action must be present. If you are looking for a feel good piece that shows the world some of the good you do, a call to action does not fit. Another question we ask is, “How will you measure success once this video is complete?” This helps us understand some of why we are doing this and what will qualify as a success or failure. We want to work toward success and know what a failure looks like before we start. So, what types of video should you have for your business in 2018? There are several types we’d recommend, but each business needs to identify which video needs to be created first and why. This list doesn’t mean you have to do all of them, rather, pick the ones that make the most sense for your business. That said, these are the business videos we are being asked to create for most businesses and the trends that match. Corporate About Us. Every business should have an About Us video. Here’s why. The first thing people do when searching for a business is research. That’s why Google will return information about a business or topic the first time you search. After that, Google assumes you want some more details and may return other sites that are more granular. During the research phase, your customers want to know who you are, can they trust you, and feel compelled to pick up the phone to call you. The About Us video answers the following questions: (a) Who is this company, (b) Can I feel comfortable working with them, (c) Can I trust them, and, (d) What experience do they have? Here’s an example. Testimonials. No one can tell your potential customers that you do a great job better than your existing customers. If you tell them, the potential customer will most likely think, “Yes, that’s what you want me to believe” or “Yes, that’s nice, but you’re trying to sell me on your services.” But, if your existing customer is on your website telling a potential customer how good of a job your business did for them, they’re more likely to believe it. Whether you create one video with several different people giving testimonials or several videos with one testimonial in each, your existing customer should be telling this story. Here’s a different way to share your client testimonials. Video Blogs. Also known as a vlog, a video blog is a way to show potential clients that you are professional, understand your business and how it helps your clients, and positions you as an expert. Pick topics that you know and title each video with a question or include terms that potential clients would search related to your business. For example, if one was looking to find a sales trainer, the potential client might search, “How do I improve my sales process?” If they search this and the title of your video is the same, you have a greater chance of showing up in the results than someone who posted the video titled, “Sales Information.” Here’s an example. Promotional Pieces. Promotional pieces are just that…a video to promote your business. More than that, a promotional video will provide a visual as to what you do. For example, if you are a kitchen cabinet manufacturer, you might consider a video that highlights the showroom (see video below). The promotional piece is the standard video you see on television, websites, and ads that run on YouTube, etc. These are expected by consumers, but don’t always make the difference in making the sale. This would be our recommendation for the top 4 videos you should have for your business in 2018. If you were to ask us what other videos you could create, we would have a much longer list. Event videos, tour videos, product videos, animations, …and the list goes on. These are the minimum 3 or 4 every business should have. It seems the trend has become more than a trend these days. Video has become the hot thing to do! If you’re a small or large business not using video, listen up! 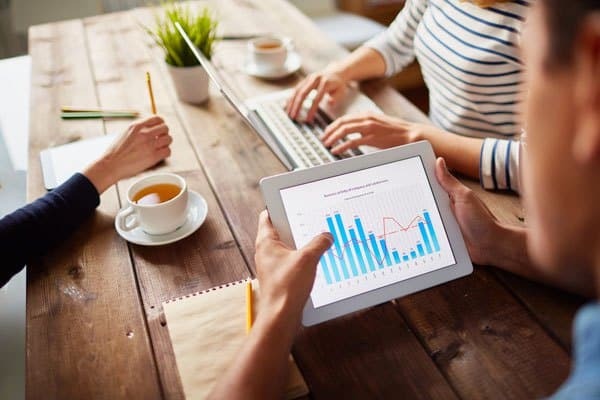 We have a few tips to share about how to improve your marketing strategy. We know that text is the gold standard in conveying and sharing information. We do it all the time. Between text messages, website text, emails, etc., this has been the traditional way we share information with each other. That’s about to change. We’re seeing video pop up more and more on our social media feeds. We’re seeing video billboards. We’re seeing ads pop up on websites that are…what else? Video. The reason this is happening is because video is more engaging and the effect on the viewer is longer lasting. The other reason this is happening is because viewers can easily digest the information being shared. If you’re handed an owners manual or a video link, which would you use to learn how something new? We’d guess a link would be your choice. Given the above, how long should videos be? We’ve talked about this before in a previous post. Since the attention span of viewers is relatively short, we recommend your video be short. 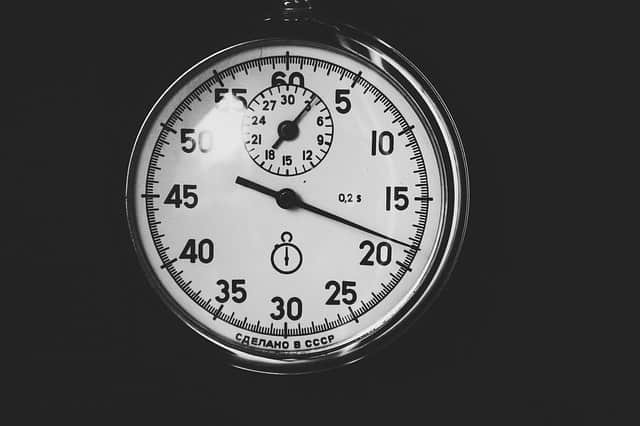 Short means different things to different people, so when we say short, we mean approximately 60 seconds for some and 90 seconds for others. Think about Twitter, SnapChat, Vine…all of those platforms force us to keep it short and to the point. Besides, don’t you like to learn something quickly and move on? That doesn’t mean that longer videos should never be used. Longer videos should be used when appropriate, such as, client testimonials, office tours, or any time it really takes a little longer than 60 seconds to say what needs to be said. Tell stories. People love to listen to stories. Interestingly, videos that tell a story get watched more often than those that don’t. Videos that tell a story and move you emotionally are the ones that get shared most. For example, Samsung created and posted this ad for their new service for the hearing impaired. We shared these because we care about the message and want others to see it. At the end, are people left wondering, what was the point? Should I click on something? Should I share it? Or did I just waste some of my valuable time? More than likely, you have some form of call to action that you want your viewer to take. Don’t be shy about asking them to do it. Whether it’s “Donate Now” or “Call Us Today,” there should be some call to action so the viewer knows exactly what to do and why they watched the video. I hope you realize by now that you must optimize your videos to get the most traction with Google and other search engines. Believe it or not you can insert transcriptions into your videos on YouTube…and it’s extremely easy. In fact, YouTube does it for you… automatically. The reason this is important is because these words are like the text on a website. This is where the keywords that are spoken are converted to text and indexed as keywords. If you want to optimize your video for search (for both Google and YouTube…the number 1 and 2 search engines on the planet), you should create a transcription in your videos. These are just a few tips that we hope will help you create and get the most out of your video. If you have any questions, feel free to give us a call. 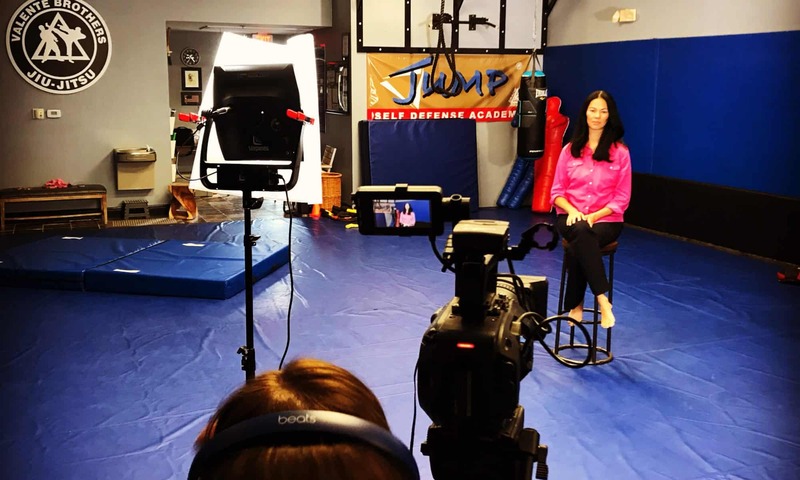 When we create videos for our clients, they often ask, “Where should I put this video?” Unless they’re creating their video for a commercial to run on cable or broadcast television, this is a very good question. Yes, the obvious answer is to place it on their website, and this is often where it starts, but should it be hosted somewhere else? There are a few schools of thought on this. The SEO companies of the world say to host it on YouTube because it’s owned by Google. Some like to host it on Vimeo because it plays much cleaner and give you options not easily set up on YouTube. Both might be right, but now there are many other players entering the arena. YouTube just celebrated it’s 10 Year Anniversary and much has changed since it’s inception. YouTube was first started in 2005 and later purchased by Google in 2006 for $1.65 Billion in stock1. Most of the early users were the general public…but not so much by businesses. Since then, many business host their videos on YouTube. In fact, checking Internet Live Stats, as of 11:30 AM on September 23, 2015, there have been over 2,481,613,747,000 YouTube Videos Viewed today! Think of that…from Midnight to 11:30 AM. Mind boggling! So…Where SHOULD I Post My Video? While YouTube is one of the most often used locations to post your video, it’s not the only one. A couple of pros and cons to YouTube. First, YouTube is easy to embed into your website (or anywhere else), they have highly reliable servers, you can analyze your data from multiple angles, excellent search capacities and search results are viewed as you search (even in a Google search). One of the main cons to YouTube is that content can often be hard to find. Unless someone stumbles upon your video or it’s embedded into your website, most people may not find it easily. YouTube doesn’t lend well if you’re looking for your audience to find you accidentally. There are many similarities between YouTube and Vimeo; however, one of the most noticeable differences is design. Vimeo is used by many who are very conscientious about design elements and visual components important to their brand. You might have noticed a lot of professional filmmakers listed on Vimeo for this reason. Also, one of the drawbacks to Vimeo is the number of people registered as users. It is a significantly smaller community that YouTube. Facebook is one of the newest members of the video hosting companies. We all know Facebook in a social way, but now they are offering the ability to host a video within your feed…while giving it priority over posts without video. The current algorithm improves your post to be seen if it has video (especially when uploaded to Facebook directly, not hosted elsewhere). With one of the largest audiences on the planet, Facebook will soon be one of the larger video players in the near future. If you already have a Facebook fan base, using video will improve your engagement with your fans. They key is to have a large enough fan base. Without the base, your video will only be seen by a few. One other thing to keep in mind is that people usually log into Facebook to get updates about their families and friends, not learn about your business…so be tasteful in your post quantity! Wistia is a relatively new video hosting website that is a paid site. This might be for you if you wish to embed video and get extreme analytics on the backside such as how long someone watched the video, at what second did they leave (or stop watching), where viewers skipped to, where viewers rewatched, etc. They have a feature called Heat Map that shows you a timeline with color coded action points. You can also integrate email programs with Wistia. This is a little more complex, but worth it if you’re into data. We know there are many more places to host your videos, but these tend to remain at the top of the list in terms of popularity, ease of use, and providing embedding capabilities with some analytical features. Do you have any sites you use to host your videos? Do you have any better options that we don’t know about? Post them in our comments section. We’d love to learn about them! Want to engage your customers (or potential customers)? 44% of US email marketers report increased engagement rates in messages containing video. One fourth of viewing times of streaming video on tablets is spent with contact more than 60 minutes long. Each minute, the equivalent of 100 hours of video is uploaded to YouTube! 27 Times. That’s the multiple of consumers that are likely to click through online video (versus a banner ad). 65% of online business-to-consumer marketers use YouTube, compared to 61% for business-to-business. Here’s what some of these stats mean to you. Remember how pop-ups were the best way to advertise? Every website used them…and they were very successful. Now, they’re just annoying. Not to say that video will be annoying, because it probably won’t unless it is used improperly, we believe we are on the largest increase in the use of video for digital marketing. We believe that every branding and advertising campaign should include a component of video. Whether online or on television, it is where potential customers can best understand you. We like to say that if a picture is worth 1,000 words, a video is worth 1.8 million words. Don’t know why that math works, check out how we came to that number at our previous post about a Video is Worth 1.8 Million Words. There are more stats at the original article, but we wanted to share with you the highlights that you most likely will want to know. Source: Abramovich, G. (2013). 15 Mind-Blowing Stats About Online Video Advertising. CMO.com. Retrieved from: http://www.cmo.com/articles/2013/8/27/video_15_mind_blowing.html on May 1, 2014. Make Your Channel Your Own. When someone lands on your page, do they know it is yours? Do they recognize your brand? Too many people start a YouTube Channel, but do not brand it. It should look and feel similar to your overall branding strategy. This should also include your video. Make sure the video you place on your channel matches your brand. This should include when you comment on others’ videos. Provide Content. We like to say, if a picture is worth a thousand words, then a video is worth a million. Content is king with Google, and the same applies to YouTube. Your videos must be original and interesting. When others comment on your video, YouTube and Google give it more importance. The video must also represent your brand. It is also important that you have a lot of content. It is perfectly fine to upload multiple videos about an interesting and related topic to help you build SEO about that topic. If you can provide information that is hard to find anywhere else, you’ll also attract multiple viewers and give them a reason to comment. Get Them Clicking. Within YouTube is a fantastic function called Annotation. Use that function to get people to click through to a page that you decide. Think of this as a sales funnel. If they found you via Google, clicked on your YouTube page, and watched the video, you must give them a reason to move to your webpage or other sales action. Whether you’re raising money for a fundraiser or educating people and want them to buy your book, a video with an annotation built in will lead them to the link to buy. Use this. Get them clicking by also getting them to comment on your video. Best way to make this happen is to get them to see an annotation telling them to do so or getting the person in the video to request for feedback or comments. Build it into the video. Use Links. No. We don’t mean pay for links; we mean link all of your content. If you write a blog about a topic that is highlighted by your video, embed or link (or both) to that video. This builds an SEO web that helps Google and YouTube better understand how the topic is related. Finally, if you need any help getting that video going, let us know. We can help! How Long Should My Video Be On My Website? Did you know that 50% more people will complete a 1 minute video than a 2 minute video? That’s significant considering most businesses want to post longer videos. We tend to recommend that if you want to post a video, that it be under 1 minute…and if you have more to say, let’s find a way to break it into smaller, bite-sized pieces. This allows the viewer to continue to click through the important portions of your videos (education) while also identifying what is important to potential customers…or what is not said efficiently somewhere else on the website. So, I Shouldn’t Post A Long Video? Not necessarily. It really depends on the type of video. Commercials. Many companies need to education potential customers about what they do or the benefits of the product. This can usually be done within 30 seconds. How To. Some companies need to educate current customers about how to use a product, such as how to assemble it or how to use it safely. In these cases, the length of the video is less important; however, it is important that the video get to the point quickly or the viewer will think the video will be a waste of their time. Testimonials. Testimonial videos can be up to 2 minutes. People like to watch other people give testimonials before they buy to help them determine if they are making a good choice. By providing sufficient time for multiple testimonials, the potential customer can watch as many or as few testimonials as needed to help them make a decision. We hope this helps you make an educated decision on how long your video should be. Whether we produce it for you or someone else, make sure the length of the video is correct for it’s use. Contact us if you have any questions. While word of mouth is an excellent way to build your business, did you know that capturing a testimonial on video of your clients so that potential clients who research your company is highly effective? Ponder this: a client is searching via Google for your services. They want to know some more information about what your company offers. They don’t necessarily want to hire you, but they find you because you have a video on your website. Your website has the keywords required to capture Google’s attention and your video convinces them to buy. Your video is only 2 minutes and it is filled with your clients bragging about how they have benefited from your product or service. They learn about how you took the time to learn what they needed and provided exactly the right service and as expected. The best way to approach a client about doing a testimonial video is by letting them know that you are shooting a video for your website. Many people would love to brag about someone they know can and will do the job. Select those clients that have referred you business from others as the priority individuals. Also, consider the mix of messages that they each can provide. For example, if one can provide insight into two facets of your business and another client can offer two different facets, that might just be the right mix. As always, you can use us to help you create the plan, organize the shoot day, and complete the project on time. Let us know how we can help! When Is It Time To Add Video to Your Marketing Plan? Websites used to be just a way for people to find you. And it still is. But it has become even more than that. For example, when done correctly, your website should be interactive, solution driven, and easy to navigate. The website world is changing quickly. Websites used to be pretty static, unchanging, and a place for people to get basic contact information. Not anymore! Video is a critical part of new websites. If you make the video the showpiece of your site, you’ll find people spend more time on your site, improving your stats and, possibly, your SEO metrics. In less than 2 minutes, you can describe what you do, how you do it, and why a potential customer should contact you. If you’re providing a new product or service, this is usually a good time to add video to your site. A video will allow you to describe the new product or service quickly and even provide a demonstration. Highly powerful. Always effective. Additionally, if you have a product that must be assembled and are having some difficulty getting your customers to assemble the product correctly, a video might be just the solution. If you’re in a position of re-branding your business, think about how you might add video to your site to describe why the re-branding has happened, what is the benefit of the new brand, or, if applicable, why the re-brand won’t affect your current level of service. Just make sure the video launch coincides with the entire branding strategy so that you can lengthen the shelf-life of the video. If you have a tradeshow, a fundraising event, or you’re unveiling a new product, people love a video presentation. A video always does better than a PowerPoint presentation or speech. No matter the size of your business, a video supporting an event is highly productive. The best way to stand out and apart from your competition is a video. When you invest in a high-quality video, your business stands out. Let us know if we can help!